The exhibit is co-sponsored by Johns Hopkins University President Ronald J. Daniels, Johns Hopkins External Affairs and Development and the Johns Hopkins University Black Faculty and Staff Association (BFSA). View the profiles of the men and women featured in this project. 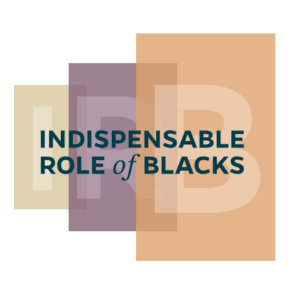 The Indispensable Role of Blacks at Johns Hopkins exhibit is an outgrowth of a conversation in 2012 between President Daniels and the BFSA, during which members of the BFSA expressed a desire to raise the visibility of blacks and point to the many contributions the group has made to Johns Hopkins. The BFSA members shared with Daniels their desire for prospective students and their parents, particularly those from the black community, to see and learn more about the university’s multi-cultural roots. The BFSA members were also interested in a way to show current students, faculty and staff as well as community members and other stakeholders and visitors to the institution’s various campuses, that blacks have made an indelible mark on Johns Hopkins from medicine and the sciences to the arts and humanities. President Daniels agreed, and, at his direction, an advisory committee of Johns Hopkins staff, along with BFSA members, was formed to explore ways to recognize the black men and women of Johns Hopkins. The committee and the BFSA members determined that the best way to accomplish this objective was to pick up where the BFSA left off with its “History of African Americans at Johns Hopkins” project (2003-2008) and expand it. Hence, the Indispensable Role of Blacks at Johns Hopkins is a representation of what President Daniels and the BFSA hoped to accomplish – to show that blacks have and will continue to play and important role in shaping Johns Hopkins. When the exhibit debuted, it consisted of a free-standing, traveling display and window decals featuring the photos of men and women whose stories offer glimpses of the intertwined history of blacks and Johns Hopkins. The display and window images were supported by a website, http://bfsa.jhu.edu/exhibits/exhibit-list/ which includes brief narratives of the individuals highlighted in the exhibit.